When my brother, Mark, was in high school or slightly older, he got a job at KFVS-TV. I’m still looking for some photos of him firing up the generator in the basement. When I find them, I’ll go into more detail about his career at the Cape TV station. In addition to his mechanical and technical assignments, he must have also been given the job of cleaning out old stuff that had been hanging around. I can identify with that kind of tasking. I was given the assignment to dig into my closet to weed out all of the clothes that had managed to shrink while they were hanging in the dark. I don’t understand how a shirt or pair of pants that fit perfectly five years ago manged to get smaller on the hangar. The threads must contract or something. 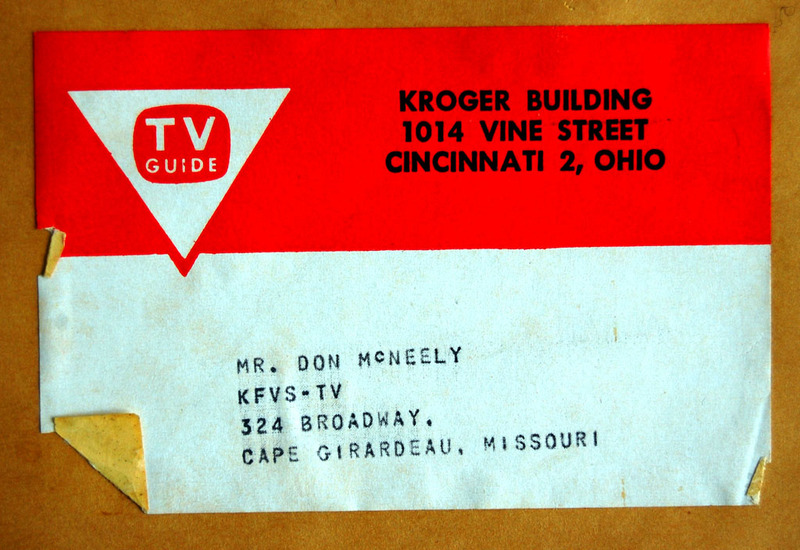 Anyway, I found an envelope on the bottom of a shelf that was addressed to Don McNeely from TV Guide. 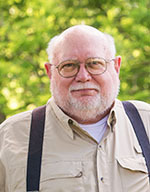 He retired in 1993 after exactly 50 years of service at the KFVS. When he started, the station didn’t even own a camera. When they DID start shooting film, it had to be sent to Memphis for processing. By the time it got on air, it was two or three days old. There’s a good retrospective on him in The Missourian microfilm. He shows up on the roof of the station in these photos I shot of a Southeast Missouri State College Homecoming Parade in 1966. 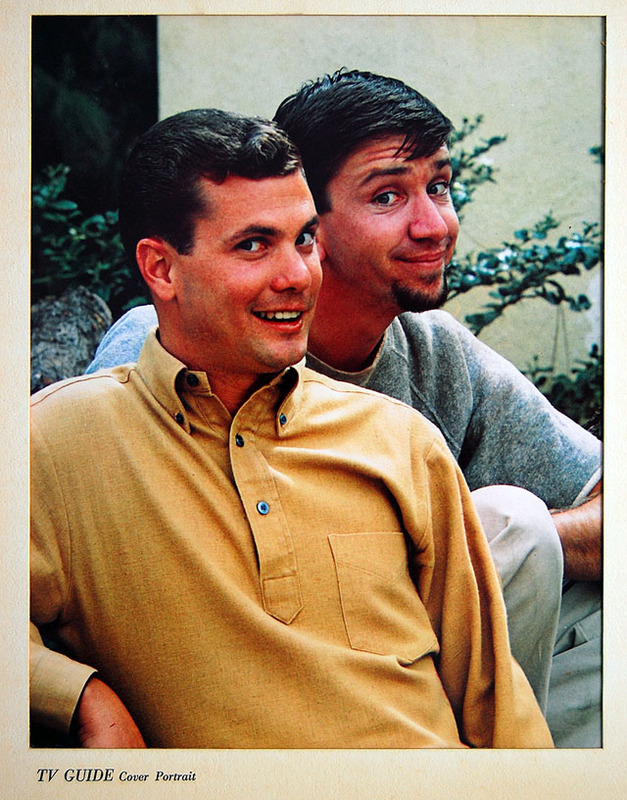 Inside the envelope was a 16×20 Kodak dye transfer promo TV Guide cover showing the stars of The Many Loves of Dobie Gillis, Wayne Hickman (Dobie Gillis) and Bob Denver (Maynard G. Grebs). 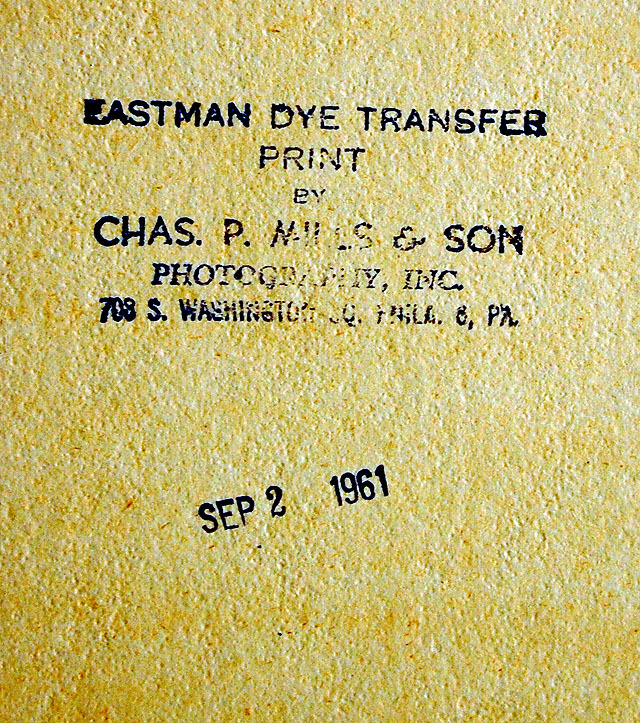 A stamp on the back was dated Sept. 2, 1961. I didn’t realize this was a Big Deal (and I’m sure Mark didn’t either or he wouldn’t have given it to me). Here’s a description of the history behind the promo photos: “Every week TV GUIDE would do a new issue with a NEW cover. 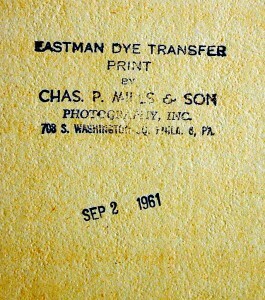 They would prepare these covers in advance, and do these large color EASTMAN DYE TRANSFERS and ship them out to their Regional Offices to hang on the wall. There were LESS than 20 regional offices. They would also give the local affiliate stations a copy, if the cover promoted one of their shows. (so maybe another 20 were issued for them). Sometimes, the execs would give out a promo copy, sometimes the star and production big wigs of the show would get a copy (so maybe another 20 were handed out). Photos around the same date go for $100 to $250. I was going to throw the print in the car to take back to Mark when I go home, but I may have to think twice about that. Maybe he DOES deserve it. He appreciates fine art. After all, he bought my Ohio University Art 101 sketchbook for $20. Very Kewl story Ken. Thanks for sharing. 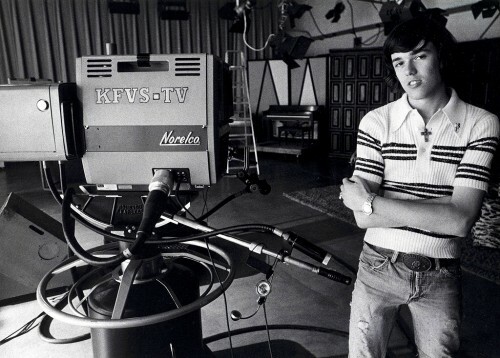 I worked at KFVS-TV for 13 years and the place was full of characters (on and off the TV set), rich in history and a great place to get up (sometimes at 4 AM) and go to work to. While they were nice enough to pay me, I would have worked there for free. The TV Guide photo covers were used in the station as hanging art in the hallways. Frames were made so new ones could be easily slipped in when they arrived. It made for good conversation whenever we would have groups come in for a tour. The reason you ended up with The Many Loves of Dobie Gillis cover, is that I thought the show was a good representation of YOUR own life. At least as seen from a younger brother looking up to an older one. I didn’t realize that you had been there that long. My only question is, WHICH character did you think represented me? 1. Dobie Gillis (Dwayne Hickman), who aspired to have popularity, money, and the attention of beautiful and unattainable girls. He didn’t have any of these qualities in abundance, and the tiny crises surrounding Dobie’s lack of success made the story in each weekly episode. 2. His partner-in-crime was American television’s first beatnik, Maynard G. Krebs (Bob Denver). Krebs had a deep aversion to the term, “Work”; Maynard was convinced life is for enjoying. Dobie’s father, Herbert T. Gillis (Frank Faylen), who owned a grocery store, was only happy when Dobie was behind a broom. Dobie’s father was often caught up in various elaborate get-rich-quick schemes, or situational bail-outs a la Ralph Kramden, with Dobie getting ensnared along with him; by the end both came around grudgingly to Maynard’s point of view. I remember being on KAS junior Auction on KFVS with Don McNeely as the auctioneer in the early 60s, he was a very nice person. You used the value of KAS potato chip bags to bid on prizes. I got a lot of good things on the show, a science kit, rocket that when you mixed the chemicals together it would launch and go pretty high. When the show was going off the air the last show had really good prizes for the time, a TV and other nice things that I cannot remember. I thought I had a chance to get something good but someone from East Prairie, I think they had a grocery store and everyone was saving bags for them, had so many points that he got a lot of the good things. Pam Kinder was on the show as the Vana White of the 60s. She was always nice to me. I’m going to have to search for the video clip of John Mueller and me appearing to promote Scout Week on the morning show. Someone bailed at the last minute, and I was pressed into service to demonstrate sending Scouting Is Fun in Morse code. Good thing I didn’t get rattled on the last F word because a guy who worked for my dad could read code and he pronounced my transmission flawless. Just think, I could have made KFVS famous for a Morse Code wardrobe malfunction long before Janet Jackson was born if I had gotten a few dots and dashes scrambled. 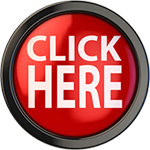 I can’t wait to see what interesting stuff you have on your site ever day. Oh, tell Lila Beth hello from her cousin. I was on the morning show too. Not long before President Kennedy was assassinated a group of us were on doing exercises to the song “Go You Chicken Fat Go”. I think that was the title or something like that. It was the song for Kennedy’s national crusade for physical fitness. We had on those horrible blue gym suits. I think you had some pictures of those a while back. I think we lost some of our dignity that morning. Seems we generated a lot of laughter. After enjoying the past 17 years of retirement in Cape, my parents recently sold their home there and bought a condo on the southern Outer Banks of North Carolina’s beautiful Crystal Coast. They’re enjoying watching the boats go by. At age 83, Dad still rides his bike almost every morning. And with the MLB network on cable, he never misses a Cardinal game, so he’s happy as a clam. Thanks for the update. I’m glad to hear he’s alive and well. Ken – What is your brother Mark doing now? I would love to hear more about his experiences at KFVS-TV and see pictures, if available. I grew up in Cape in 60’s and 70’s and worked in local radio. I was able to raid the remainders of the Ch 12 storage rooms and saved some of their great animated movie intros, the famous “Owl” weather intro, some of Don McNeely’s work from the 50’s, the 16mm special they produced on the building of both TV towers, etc – much of which was borrowed for use on their 50th anniversary show. I own TV and radio stations today and love the rich history of Cape Girardeau media. Thanks! He’s still in the business of making people believe that Schnucks sells the cheapest bananas. Maybe he’ll weigh in here with more KFVS memories. I’m still looking for more photos from the tour he gave me of the station. Would love to hear more about his days at KFVS prior to ’79 while it was still under local ownership. And, any pics of the TV and radio would be greatly appreciated! My great uncle (Terry Long) snagged one of those umbrellas for our family and I took it off to Mizzou in the late 1980’s. It was a great way to meet other students who came from this area. Whenever I carried it, inevitably someone from around here would come up to talk to me. I wonder what happened to that umbrella – it was a good one. Hi Ken. Update: Just wanted to let you know that my dad, Don McNeely, just celebrated his 87th birthday on Dec 11th. He’s doing very well and he and Mom are still really enjoying life on the Carolina coast. They spent a couple of weeks in Cape back in October and had a blast. Happy Birthday to him. As you can tell from the comments here and on Facebook, he is well-remembered. Yes, please send my wishes for a Happy birthday. He spent more time in our living room than I did. Someone from Cape recently ask who was the the best known person from Cape. I nominated your uncle Jerry. I know he wrote many of the scripts on popular TV shows back in the 60’s & 70’s. I lived next door Don McNeely’s mom and Dad, Archie and Mildred,both very nice people. Don was a local god, and I got his autograph. I remember I was asking for it when he was over at his mom’s one day and he was gracious and signed my autograph book, sorry long lost. After seeing him on TV all the time he was all people talked about. 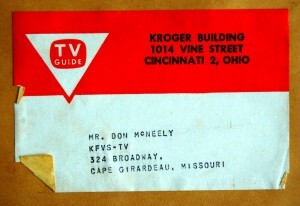 At the time, Don McNeely was the only person on TV and he WAS TV in Cape and at least until Channel 6 and Channel 3 stated up. Everyone in Cape thought he was great, and in my experience he was truly a gracious, kind and talented man. I hope he is enjoying life to the max. Donna, you come from good stock. I am so glad that your Father n mother are still enjoying life, I was on Kas Junior Auction 2 times and won prizes both times.I work on the the river and there is hardy not a time when I come though Cape and think about when Don ask me what I want to be when I grow up, and I told him I wanted to be like my dad and Frank Shiebaugh and work on the river, and well it happened, 47 years on the river.i am a captain with a company that use to have an office in Cape (AEP river operation) but now in Paducah….God Bless you and family.